There are several questions that I have been working on regarding Newcastle. 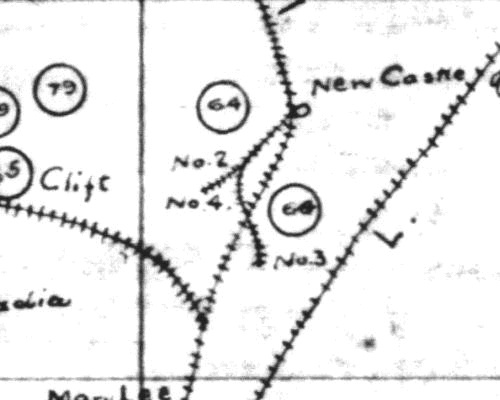 First, what was there, and where were the mines located. 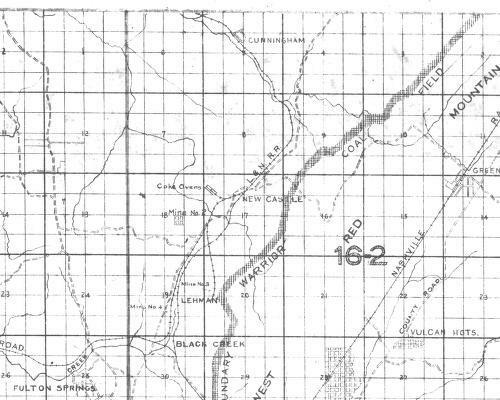 Second, the location of the community, the roads and the rail lines -- these seem to have changed. 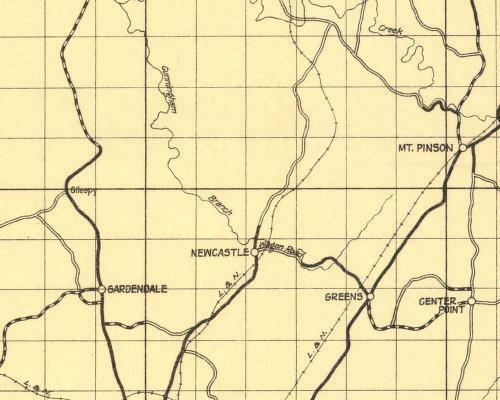 For example, the L&N main line was relocated in this area, and there was a "second" rail line serving the mines that paralleled the mainline back to Cane Creek branch to the south. 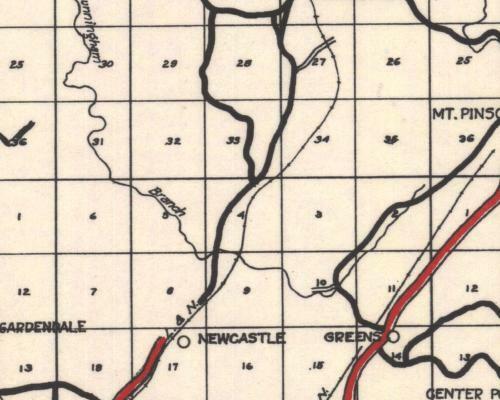 Note this map shows "Milner Coal & RR Mines" in land section 17, at Newcastle. 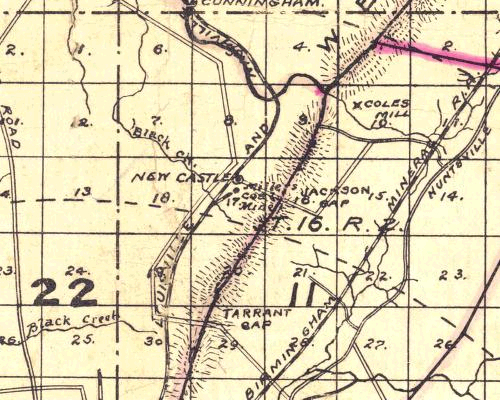 Note the location of the rail spur, starting at Black Creek and going northeast. 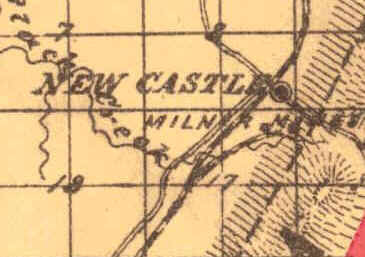 Note this map shows Milner Mines, and a rail spur, in land Section 17, at Newcastle. 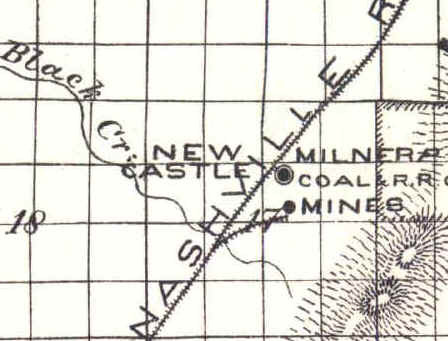 Note this map show "Millers" (sic) Coal Mine, and a rail spur starting at Black Creek similar to the maps above, in land Section 17. 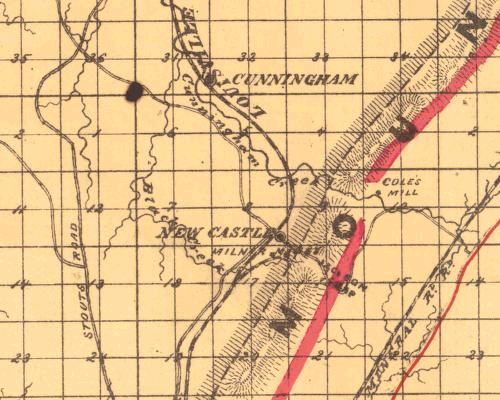 Note the rail spur to the east of the main line and compare to the No. 3 spur in the next map down. 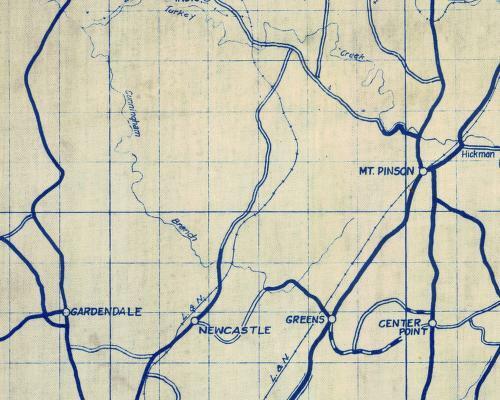 Also note the structures, and lack of a rail spur below the "w" in Newcastle. 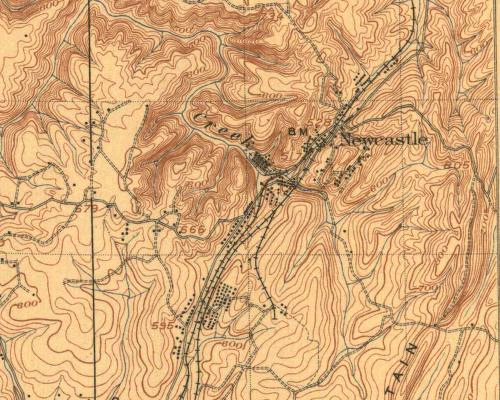 This is believed to be the location of No. 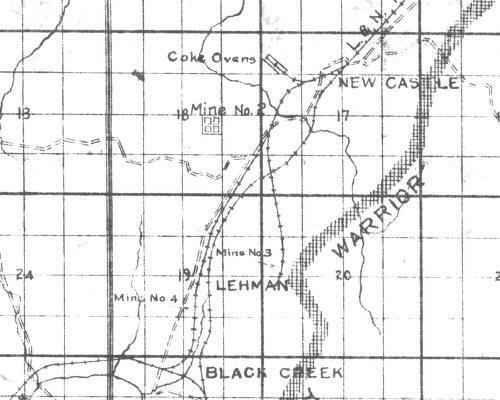 1 Mine site. Compare this map and the ones above. 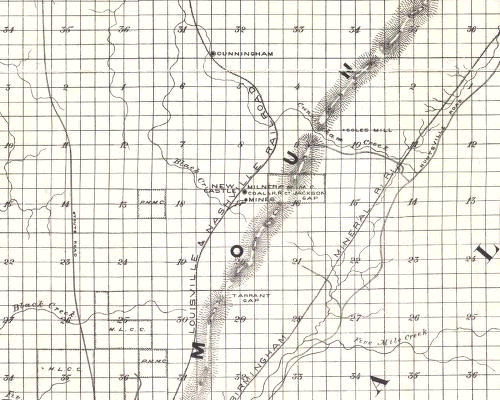 There is a general correlation of the track layout on this map and the 1906 map. This map confirms the location of the No. 2 Tipple at Black Creek Hollow. It does not give an indication of plant no. 6 shown in later photos. Note this map clearly labels mine No. 2, No. 3, and No. 4. There is no reference to No. 1, No. 5 and No. 6. 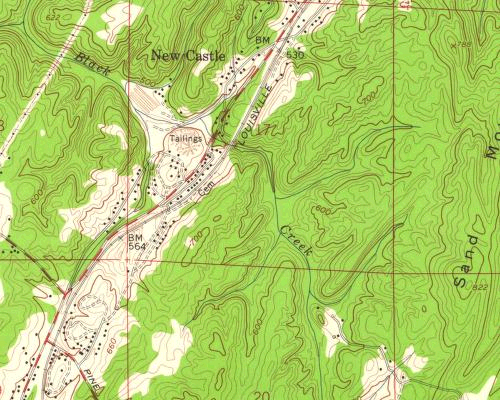 It is believed that the road was relocated about 1925.